MyPrivateTutor has the best training centers and training institutes in Abu Dhabi offering a wide range of courses and coaching classes for you to choose from. Check overview, reviews, feedback and details of courses offered. IELTS training with experienced faculty, AUTOCAD 2D & 3D, REVIT MEP, all courses with 20% discount. IELTS preparation be it a university/college entrance requirement or you give a thought to immigrate to any of the English-speaking countries, we prepare you for all versions of IELTS! Considering the requirement of all high bands in IELTS to get Australian/Canadian Permanent residency we help you pass all modules of IELTS, at 1st attempt, successfully. Those have failed their IELTS test many times are also welcome to contact! Some of the main features of our 30- Hours course of instructions are: Learn from Native speakers Free resources for IELTS Preparation Links to authentic websites Topic specific vocabulary for writing and speaking to try above 8 BANDS in the IELTS test available for registered clients. AVOID LABOUR INTENSIVE PRACTICES OF IELTS TEST & OPT FOR A SMART WORK! We offer tailored made courses to fit your requirements. Our tuition is largely done on a one-on-one basis, focussing on all your needs, but we do also offer group classes if there are a groupd of children of the same age, studying the same curricula. We can put more emphasis on the areas that need the most help and build from there, whether it would be certain topics or a general subject overview. We can offer one-on-one classes or group classes; whatever you would like! The sessions can take place in the comforts of your home or at our elegant office in Downtown Abu Dhabi. We are located near Al Falah Plaza on Al Falah Street. We can also offer discounted rates for monthly and termly bookings. Our tutors would be happy to conduct assessments to show your progress throughout the tenure of tutoring with written reports. For children looking for a more bespoke curriculum, Feynman Education would be able to design and carry out the tutoring of a tailor made curriculum. "WE TAKE YOU TO THE HIGHEST EDUCATION"
Approved by ACTVET (Abu Dhabi Center for Technical Vocational Education & Training), We are Autodesk Authorised Training & Testing Centre, Duke is NOW ISACA Certified Testing Centre. Register Now!! Our mission To assist students preparing and cracking for the entrance examinations. To provide result oriented teaching and association To enable students in the form of a fraternity striving to achieve the success in entrance examinations. To build an environment where the students can acquire all type of requirements for the preparation of the competitive examinations competently and passionately by providing them excellent training. To emerge as creating and disseminating knowledge, and providing students a unique learning experience. To help the aspirant to discover his potential, to not only be a successful candidate but also successful person in his life. Discover your learning potential for languages with assistive technology! "Having Kelly Rasmussen supporting our special needs children was invaluable. It takes a special person to work with children with needs and Kelly met the criteria with huge success. She was patient, informative, interested, and engaging with all the children she worked with at Chapel Hill. The students gained valuable strategies to help them with technology and as a result built their self-confidence: a direct result of Kelly's guidance. So grateful for your time here at Chapel Hill!" Personal care and guidance. 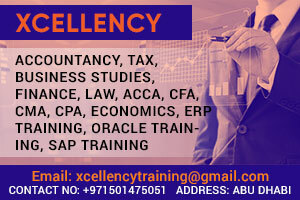 We offer customised training as per the need of the student. World class quality management service. Regular feedback. Preparing you for not only taking the tests but also getting into the right Universities. With over 10 years of experience in admission consulting and test preparation, we ensure that the student is provided with appropriate guidance at all steps. We offer comprehensive Preparatory Courses for: GMAT/GRE/EA/SAT/GMAT/UKCAT/IELTS/TOEFL/Personality Development/Spoken English/LSAT/LNAT/IMAT. All our faculty are trained & experienced to ensure that every student is offered excellent tutoring and support. CLC is specialised in: 	Language courses English, French, Spanish, Italian and Recently Japanese, Chines, Koran and Russian too. (We provide over than 30 language courses). 	Creativity & Innovation at all levels socially, academically and at the workplace. 	Excellence in the workplace. 	Leadership & Management. (Over than 370 training unit in Professional Development) 	ICT Skills 	Human Resource Management. 	Project Management and quality assurance. 	Sales and Marketing. Our approach is proactive and insightful, drawing across our experience, knowledge and expertise, allowing for coordinated and integrated service provision for clients in the NGOs, private, public and government sectors. We being client - centric, focus on quality of service, productivity, efficiency, economy and profitability. We aim to exceed expectations in everything we do by remaining resilient, competitive and fit for the future. I help with homework, tutoring and revision courses during the holidays. French program, from CP to Terminale, all subjects. Homework help, Group Tutoring and Holidays Review sessions. Expatriation can be a real challenge for you, but also for your child. By offering personalized support to learning, you put all chances of success within reach. My First Tutor accompanies each student on their own success by revealing their potential and transmitting a taste for learning. My First Tutor is the key to a successful schooling in expatriation. Our specialities are: Assessments: All Mathnasium students start by taking a customized assessment which pinpoints their learning needs. We meet them where they are and take them where they need to go. Mathnasium’s unique assessment process determines (with great accuracy) exactly what each child knows and what they need to learn. Our assessment reveals each specific skill area that needs to be mastered so kids aren’t wasting time reviewing concepts they already know. Customized Learning Plan: We then design a customized learning plan for teaching the concepts the student needs to master. The learning plan identifies the math concepts needed to meet the specific learning goals for your child. We use a combination of proprietary materials and instruction techniques to ensure your child masters these concepts. 3Specially Trained, Caring People Who Teach : Mathnasium’s specially trained instructors implement the learning plan and work with each student to ensure they master the material. We want to be there when the learning happens. All instructors are required to pass a rigorous math screening that tests mathematical thinking, familiarity with our approach, and their ability to translate complex concepts in a relatable way for kids. Individualised English and Math Tutoring for students ages 4-18 proven to increase standardised testing scores on the MAPs and SAT exams. Improvements in motivation, confidence and report cards. Native English-speaking teachers from the US and UK. Professional monitoring of each child's program by Western management in a premium environment. Partnerships between parents and schools upon request. Our tutoring approach is CELTA based, which is trusted and recognised worldwide. Tutoring available for all ages and levels including beginner to advanced and academic English. All four subject areas which are Listening, Speaking(Pronunciation), Reading and Writing(Grammar and Vocabulary) are included. IELTS preparation includes test structure, strategies and practice. Sessions are personalised to meet your requirements and goals. They can be private or in a group setting and location will be discussed to determine the best learning environment for the student. Structured courses available for general English learning. Tutoring with your own school materials is also an option. All trainers certified, experienced and a native Canadian English speaker with experience in teaching all ages, levels and areas. We believe that the first meeting speaks everything about a company, we request you to contact us for a free Service Consultation and/or Training Demo to help us deliver our best services & trainings which will benefit you and your company. Please feel free to contact us for other services which you would like from our well equipped team. We offer the best and most competitive rates in the market. Medical Coding Training/ SAT 1 & II /GRE/ GMAT/ IELTS/ ICDL / French language/ German Language/ Spanish.